The Ellis is ideal for intimate events or also as pre-function space located in between The Depot and Casa Marisol. 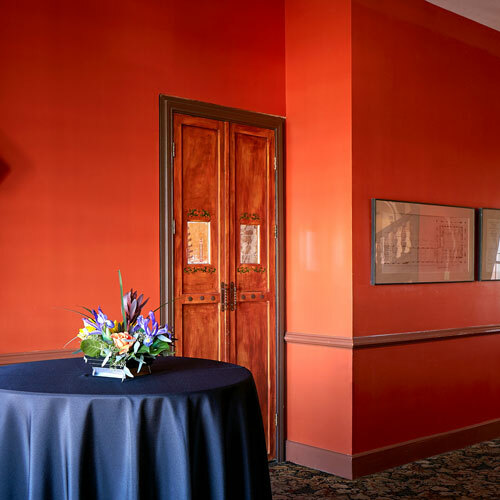 Your guests will enjoy the rich, warm feel of The Ellis as they are surrounded by warm red walls, rustic wooden accents and beautiful drapery. It is the perfect transition for your guests from the Depot to a Fiesta style environment of Casa Marisol. The Ellis is a connecting room that joins Casa Marisol to The Depot. It is found on the upper right corner of The Depot, on the first floor.